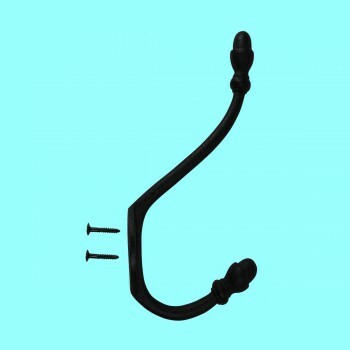 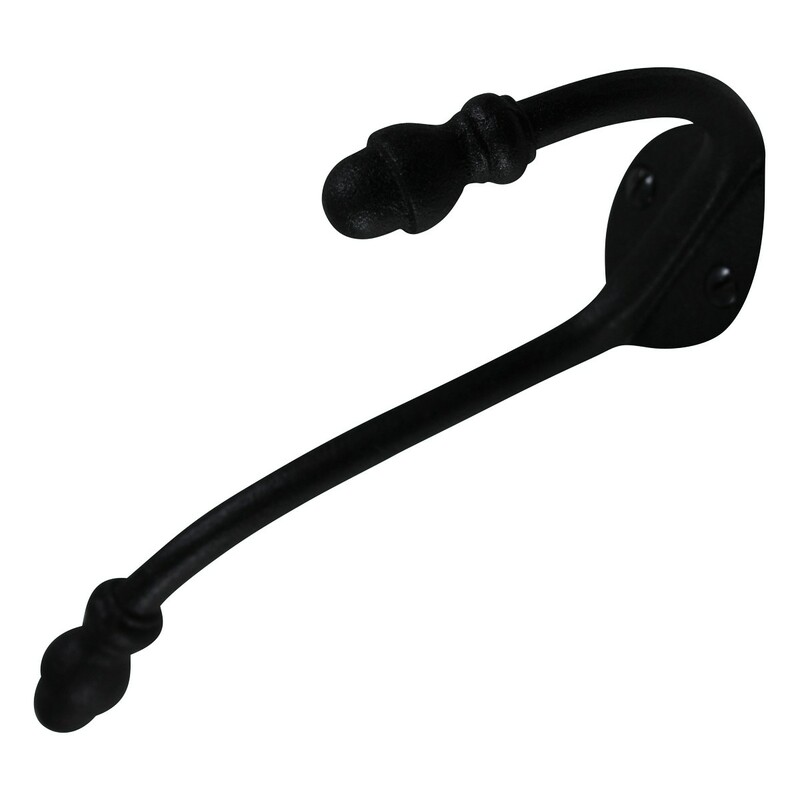 Wrought Iron Hook. 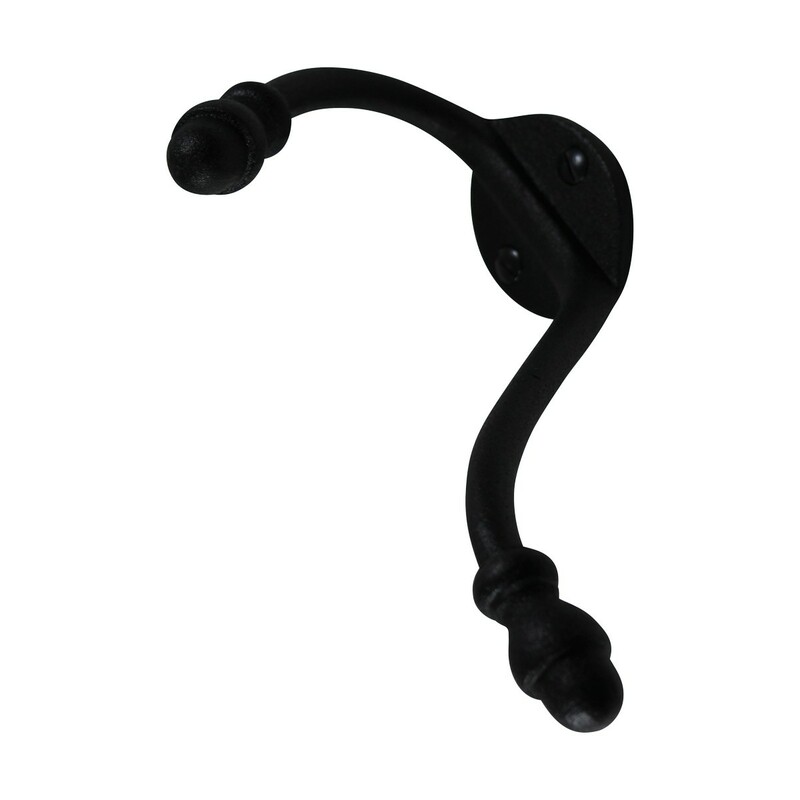 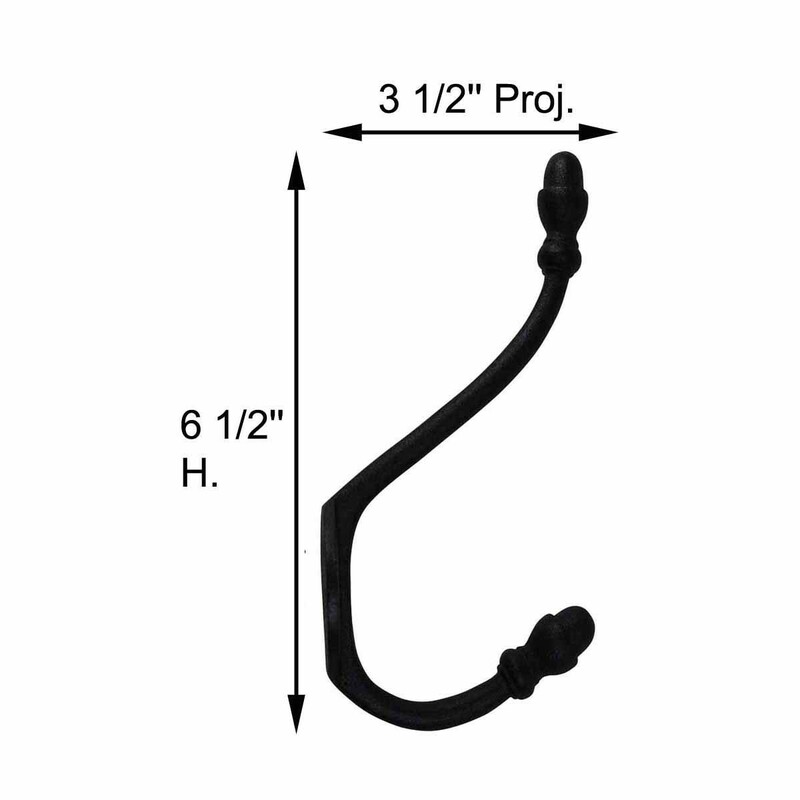 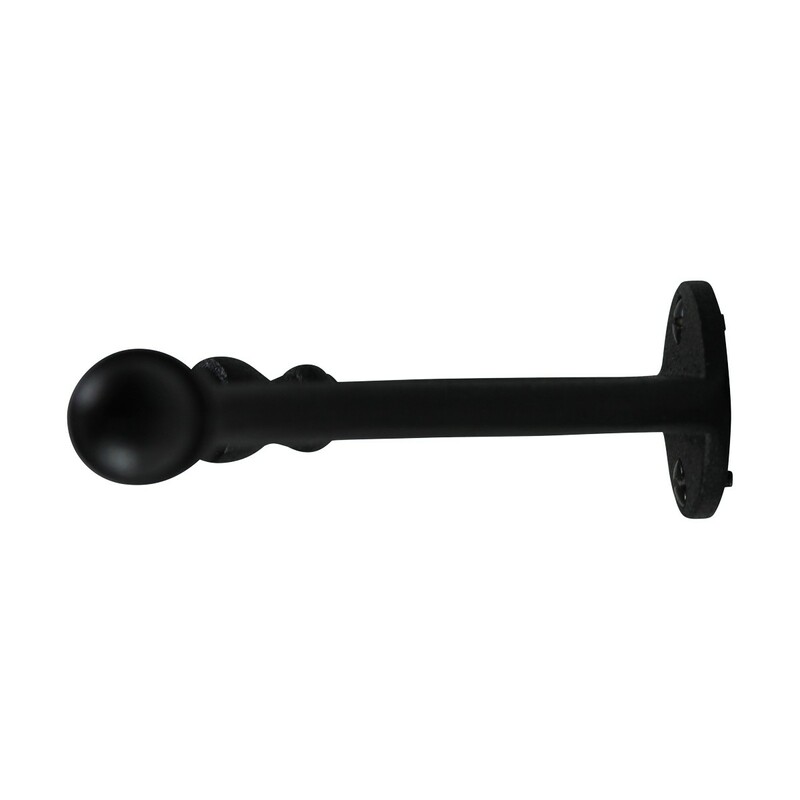 Our Double Hooks allow you to hang two items at once and are most popular in entryways for coats, on bathroom doors for towels and robes. Our exclusive RSF coating protects this item for years to come. 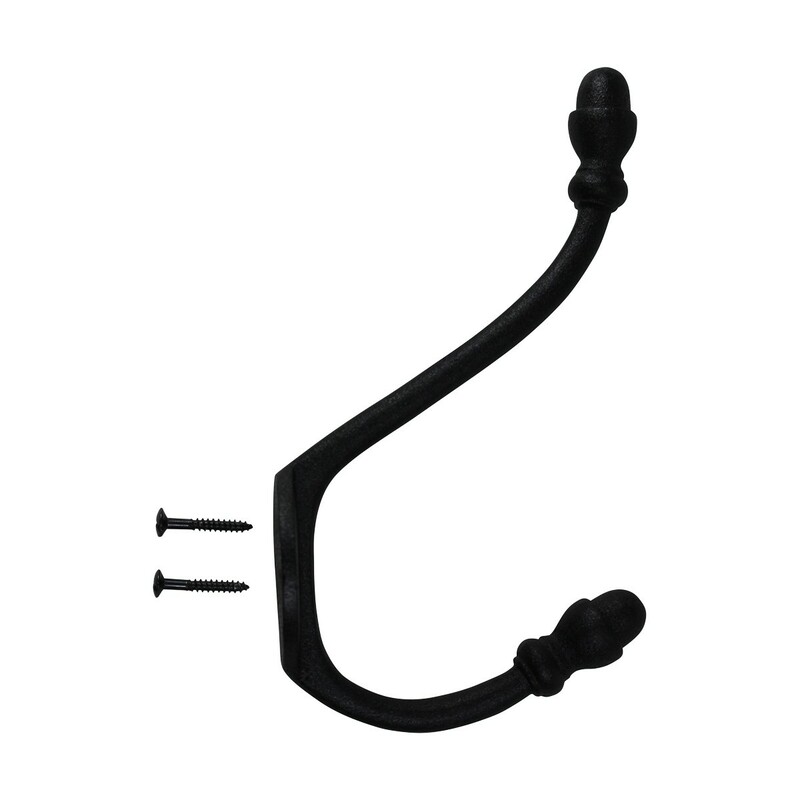 Clean up and get organized with these double hooks, they look fantastic in either a contemporary bathroom & kitchen or a Victorian hallway.